Banyan Tree Hotels and Resorts entered the destination club market in late 2006. 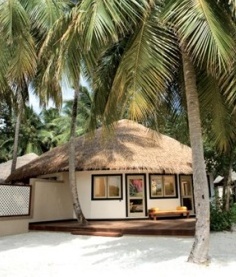 With its many years of boutique resort development under its belt, it launched the Banyan Tree Private Collection. The club has since expanded its focus, branching out from its predominantly Asian emphasis and now offers luxury residences worldwide including Tuscany, Provence and London. Banyan Tree Private Collection has quickly grown to over 100 members, from the United States, Greece, China, Singapore, India, Hong Kong, Russia and the United Kingdom. The fees include an initial $120,000 and annual $3,000 maintenance fees, which pay for 7 nights of vacation time per year at any Banyan Tree Private Collection residence. Members can buy additional time to supplement the 7 days allotted annually. Membership also provides access to pre-paid, destination-specific experiences, such as massages, sandbank diving excursions and guided tours. Banyan Tree Resort Hosts and Membership Services Managers plan itineraries for your trip and ensure that you see all of the local attractions you want to pack into your vacation. Banyan Tree suggests reserving your stay at least 9 months in advance for non-peak periods and 12 months prior to travel for the peak holiday periods - Christmas, New Year, etc. Much like other destination clubs, Banyan Tree reservations can be made via phone, E-mail or fax. Members can share their villas with any guests of their choice. Villas at Banyan Tree resorts have a maximum occupancy of 4 adults for a 2-bedroom space and 2 adults for a 1-bedroom villa. Their other locations, such as France and Italy, tend to be larger 4 bedroom properties. Banyan Tree offers memberships in perpetuity, meaning membership privileges can be transferred, sold or left in a will to loved ones. The club's properties are asset-backed by a private company and trustee shareholders, offering protection for your investment. The club also gives members the opportunity to capitalize even further on their initial investment with the appreciation of their $120,000 deposit. From it original Asian roots the Banyan Tree Private Collection has grown to be one of the most global destination clubs. It already has homes on 3 continents, with plans to quickly grow to residences on 5 continents, and its membership comes from a wide variety of countries. Other clubs with a global outlook include Distinctive Holiday Homes, Solstice Collection and the newly launched Everlands each of which has homes on 3 continents. Most of the other destination clubs tend to be focused on Europe and North America.